Train more often, more effectively and in a more practical environment, your home. The SIRT Training Pistol is designed for high-volume self-diagnostic training with no set up and safe sustainable training. The SIRT has Dual Indicator Lasers, a red Trigger Prep Indicating laser gives you immediate feedback on your trigger mechanics while you prep your trigger. A green Shot Indicating laser (Pro Model) or red Shot Indicating Laser gives you shot indication feedback on your follow-through. The Laser Take-Up Toggle Switch allows you to shut off the Take-Up Indicating Laser, and just train with the Shot Indicating Laser. The Red and Green (Pro Model) Lasers may also be reversed with an internal switch. The SIRT frame has all the functional grip features of the Glock 17/22 and when fully assembled is designed to match the weight of your live fire pistol. 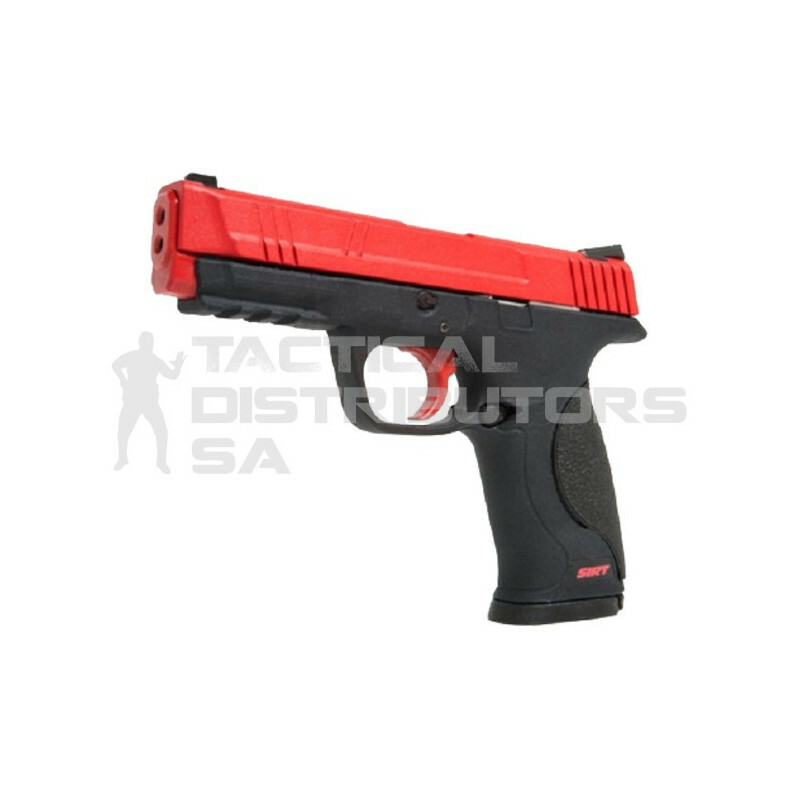 *This performer model has a polymer slide with a Green shot indicating laser and red trigger prep indicating laser. Features The Shot Indicating Resetting Trigger (SIRT) Training Pistol was developed to complement live fire training. Mount your tac light onto the fully functional rail, Dual Indicating Lasers, Ergonomic Frame, Weighted Traning Magazine with rubber base. Package Includes 1 x SIRT 107 Training Pistol, 1 x Training Magazine, 1 x Owners Manual, 1 x Trigger Adjustment Tool, 1 x Laser Windage and Elevation Adjustment Tool.